Maud Russell (1891-1982) was the daughter of Paul and Maria Nelke, German immigrants who settled in London in the 1880s. An important patron and collecter of modern art, she was portrayed by Matisse, Sir William Nicholson and Cecil Beaton – among others. 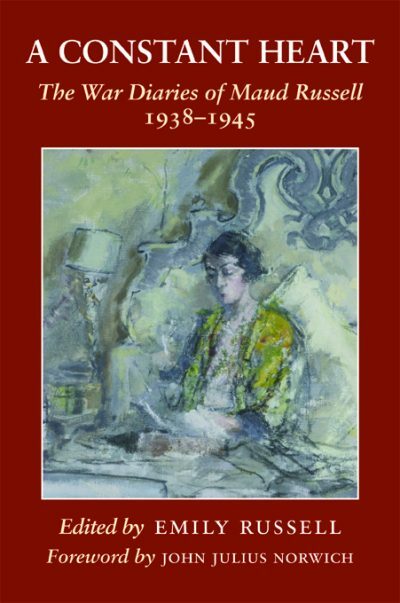 She was an avid reader and disciplined writer of letters and a diary, which she kept for forty years from 1937-1977, providing a rare social record of her times. Marriage to Gilbert Russell, a cousin of the Duke of Bedford, brought her into contact with the leading writers, artists, musicians and politicians of the day, many of whom stayed with her at Mottisfont Abbey, her country estate in Hampshire. She was unfortunate enough to live through both World Wars, suffering from anti-German sentiment during the Great War and helping her Jewish relations to escape Germany in the 1930s. From 1943-45 she worked on secret propaganda activities at the Admiralty. After her husband died, Maud formed a relationship with the Russian artist Boris Anrep, sponsoring his Modern Virtues mosaic floor near the entrance of the National Gallery. Emily Russell is Maud’s granddaughter. She read English at Manchester University and has a Masters in Criminology from Middlesex University. She worked for Amnesty International, the Howard League for Penal Reform and the Campaign for Freedom of Information before becoming a journalist and eventually moving to Chile. She now lives in Santiago with her partner and two children.